Part Two: What is franchising and what is the value proposition? How are franchise systems built and what is the Franchise Disclosure Document? 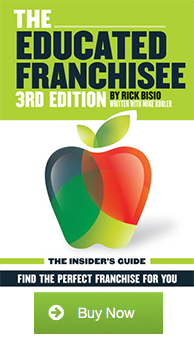 Before you look at franchises, you need the foundational information to know what where franchising came from, where it is going and why. Part two will provide you with the foundational information you need. Part Three: How do I tell the difference between a great franchise opportunity and a lack luster one? What tools are need to evaluate which franchise opportunity is right for me? How do I use these tools to be sure that I buy the right franchise? Part three gives you all the tools you need to evaluate whether the buying of a particular franchise will work for you. Part Four: Signing the franchise agreement is just the start. Part four focuses on practical advice for franchise ownership: What should I expect as a franchisee? What is the first thing I should do after signing the franchise agreement? How can I make sure I am happy in my role as a franchisee?